The Carbon Claw Aero AX-5 4ft uppercut angle punch bag is ready to absorb the most powerful blows thanks to SV1 cross fibre bonded synthetic material reinforced with double stitched seams. It is designed specifically for uppercut practice, high and low punching and training hooks and helps you develop power, speed, footwork and punch accuracy. 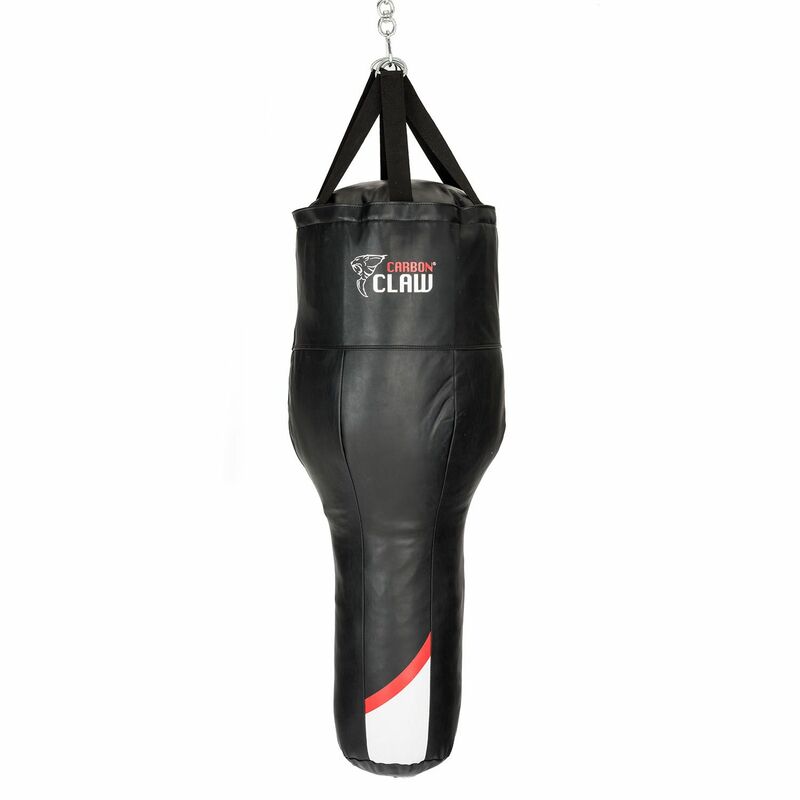 This solid 4ft (122cm) bag is both versatile and durable and allows for punching at different lengths and angles to ensure a great number of strike combinations. For a perfect weight distribution, it is textile filled and has soft, shock absorbing foam inner lining to deliver a more natural feel. To reduce swinging and guarantee added stability, there are heavy gauge webbed hanging straps with metal D-Rings and an additional metal D-Ring at the base to attach a fixing or weight. for submitting product information about Carbon Claw Aero AX-5 4ft Uppercut Angle Punch Bag We aim to answer all questions within 2-3 days. 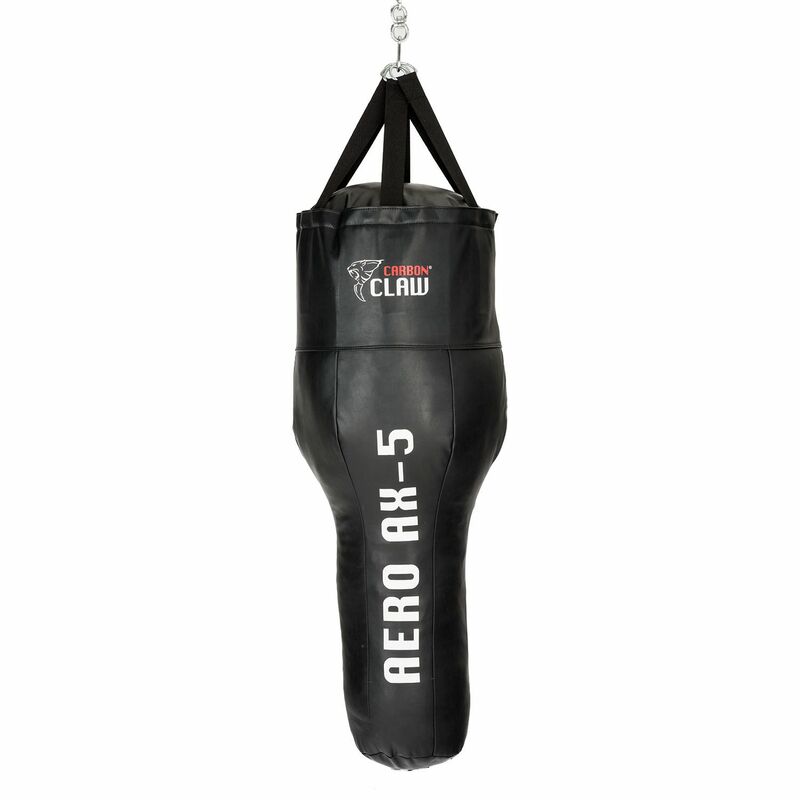 for submitting product information about Carbon Claw Aero AX-5 4ft Uppercut Angle Punch Bag. We aim to answer all questions within 2-3 days. If you provided your name and email address, we will email you as soon as the answer is published. for submitting product review about Carbon Claw Aero AX-5 4ft Uppercut Angle Punch Bag.